WASHINGTON, DC – On March 19th, 2018, the Public Affairs Alliance of Iranian Americans (PAAIA) hosted its annual Nowruz reception on Capitol Hill. Eight members of Congress attended the reception as well as more than 150 Congressional staff and special guests including Iranian American Washington Post journalist Jason Rezaian and Former Deputy Assistant Secretary of State for Iran Ambassador John Limbert. PAAIA’s annual Nowruz reception on Capitol Hill is part of our broader effort to celebrate and foster greater understanding of Iranian culture and to project an accurate and positive image of the Iranian American community. 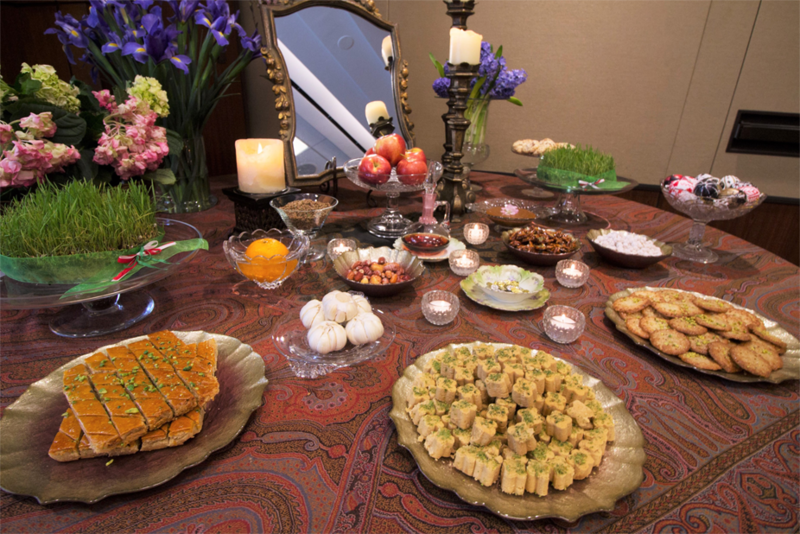 Attendees had the opportunity to learn about the Nowruz holiday and Persian heritage while enjoying Iranian cuisine and a traditional Haftseen table. During the reception, various members of Congress in attendance spoke of the significance of Nowruz and the countless ways that Iranian Americans contribute to the United States. Some members referenced the current political climate that is negatively impacting the community and reaffirmed the importance of the American values of diversity and inclusion. 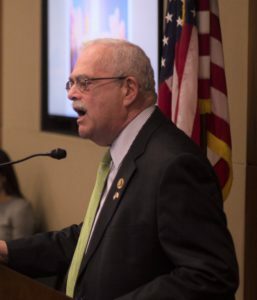 “We have to continue to strive in America to make sure that we remain the welcoming and inclusive community our Founding Fathers envisioned,” said Congressman Gerald Connolly. Our main Congressional Sponsor Congresswoman Zoe Lofgren, in collaboration with PAAIA, introduced legislation honoring the Iranian New Year. Besides commemorating the Nowruz holiday, the resolution acknowledges the “lasting contributions” of Persian civilization to the world and the “noteworthy” impact Iranian Americans have on the social and economic fabric of America. We also used the occasion to unveil PAAIA’s targeted digital campaign to raise the profile of the Iranian American community and highlight the various contributions Iranian Americans have made to U.S. society. Hastie Afkhami, Senior Vice President of Digital at the creative advocacy firm of Subject Matter, presented the campaign and the first video ad that will be targeting members of Congress and their staff over the next few months. The ad portrays Iranian Americans as what they are—true Americans making a positive impact on our country. The overarching goal of the campaign is to show policymakers that Iranian Americans are valuable constituents whose voices need to be heard in all levels of government. PAAIA would like to thank the many volunteers who made the evening a success and the members of Congress and their staff who joined us for the event. Additionally, we would like to extend a special thanks to the evening’s guest of honor, former Congressman Randy Forbes. 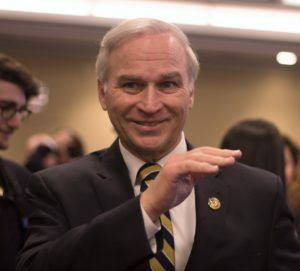 Forbes served in the House of Representatives for Virginia’s 4th district from 2001 to 2017 and is now a senior director at Greenberg Traurig LLP, a fellow at Regent University, and a fellow at U.S. Naval War College. He was the original host for our Nowruz reception on Capitol Hill in 2012. The reception was hosted in collaboration with: Congresswoman Zoe Lofgren, Senator Chris Murphy, Senator Tim Kaine, Senator Chris Van Hollen, Congressman Tony Cardenas, Congressman Andre Carson, Congresswoman Judy Chu, Congressman Gerald Connolly, Congressman Charlie Christ, Congressman Ron DeSantis, Congressman Jared Huffman, Congresswoman Shelia Jackson Lee, Congresswoman Carolyn Maloney, Congressman Jamie Raskin, Congressman Francis Rooney, and Congressman Jackie Speier.